There’s an exciting energy to Belfast that’s hard to miss. Add to that the stunning scenery, wonderful original architecture and a thriving bars and restaurants scene and you can see why it makes such a great place for a visit. It’s a fantastic base for exploring too, with the Game of Thrones tours proving especially popular. 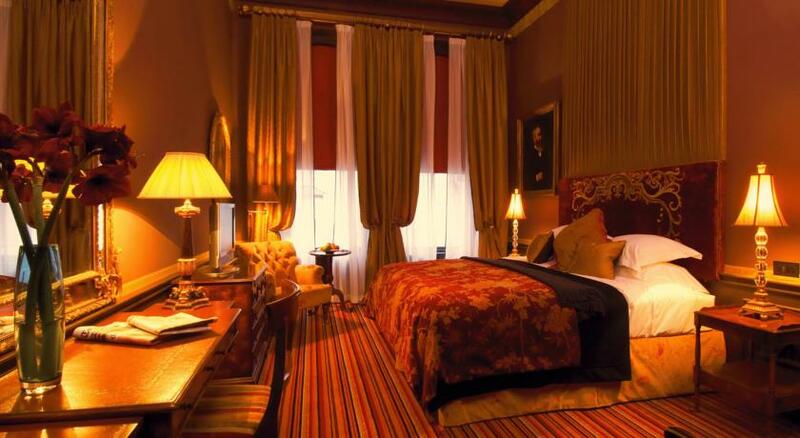 And, of course, Belfast’s boutique hotels offer the best of Irish hospitality – here are seven of our favourites. Belfast’s Malmaison is housed in another building that his been given a new lease of life. In this case, it’s a former seed warehouse that now houses 62 rooms. There’s only hints of its past in the decor, which now offers full-on luxury with a dark and opulent decor that’s carried through the rooms. It offers the perks you’d expect of a Malmaison, including mood lighting, flatscreen TV, free WiFi and king sized beds. 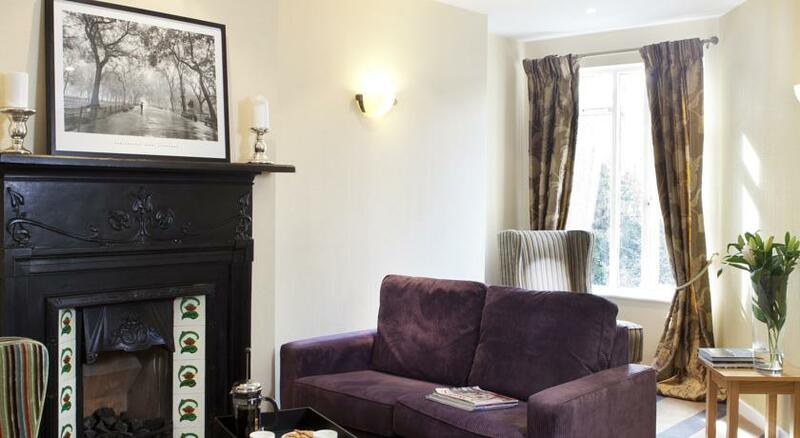 In fact, the Samson Superior suite goes even better, offering a 7ft bed along with a roaring fire and two TVs. If you decide to ever leave your room, the maritime-themed brasserie offers a contemporary take on traditional favourites or sit back and enjoy a cocktail or two at the Malbar. This University quarter hotel attracts rave reviews. Perhaps it’s partly to do with the porridge – you can have yours served with honey, cream or whiskey each morning. But we suspect it’s thanks to the attention to detail that’s gone into everything – from the crisp linen adorning the King Koil beds or chilled mineral water available in each of the rooms. Decide to opt for a Superior room and you’ll benefit from the addition of 32-inch LCD TVs, Bluetooth speakers, GHD straighteners and a Nespresso coffee machine. There’s the bonus of off-street parking too. Yet another impressive building – Ten Square Hotel is housed within a Grade I listed former linen mill, near City Hall. The contemporary decor contrasts to the historic setting – all bold colours, rich fabrics, dark wood and leather. Its 22 rooms range from Standard rooms – ideal for a city break – to the opulence of The Linenhall Suite, which would be perfect for an indulgent stay with friends and, indeed, this hotel offers some special hen party packages. There’s plenty of entertainment on site too, thanks to their Jospers Steakhouse and The Linen Bar. 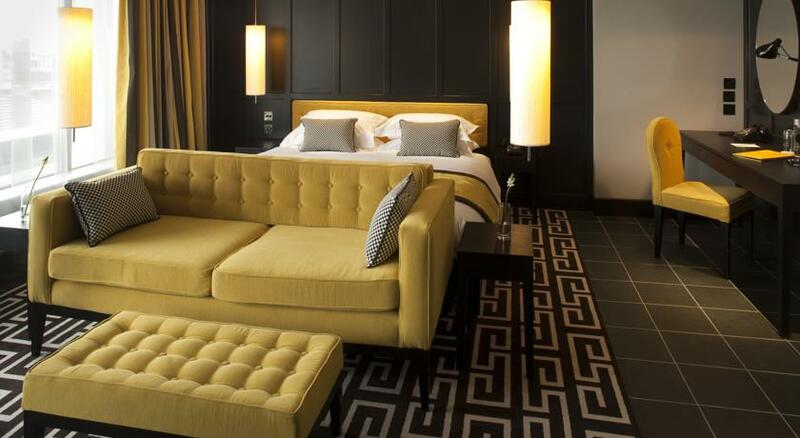 Sleek and contemporary, The Fitzwilliam Hotel lives up to its 5 stars. All of its rooms benefit from touches such as iPod docks and flatscreen and access to the 24-hour front desk but it’s the suites that are truly breathtaking. In the Studio suite, you’ll discover floor to ceiling windows that maximise the view across to the Cavehill Mountains. The Penthouse, meanwhile, benefits from its own bar and kitchen along with its own private butler. In the stylish wood and pink setting of the restaurant, you can enjoy expertly prepared local produce, or settle in for the night at the lounge bar and take your pick from its 700 quality spirits. You’ll find this hotel alongside the other bars and eateries on fashionable Botanic Avenue. The 32 spacious rooms offer a contemporary take on traditional style – we especially recommend treating yourself to a stay in either the University or Botanic Junior suites. The hotel is especially proud (and rightly so) of their gleaming white Villeroy and Boch bathrooms. You’ll discover walk-in drench showers, or perhaps a sumptuous bath, with granite surfaces, as well as the luxury toiletries and crisp white towels you’d expect in a hotel of this standard. This independently owned boutique hotel is suitable for all kinds of travellers, with its 32 rooms encompassing singles, twins and doubles as well as executive suites. Giving its guests a good night sleep is a definite priority here – every bed in each of the 32 individually styled rooms has a feather-topped mattress, complemented with goose down duvets and 600-thread Egyptian cotton sheets. On the other hand, if you’ve no intention of resting, you’ll be pleased to discover the award winning music bar, which hosts live bands and local DJs. It’s well worth checking out what deals they have currently have available, ranging from girly breaks to “Champagne Sunday”.